The little viking wants to get the egg to the dragon mother, but the way to the castle is a mess. It is your task to move the pieces and connect them, so that the path is clear again. To master every level of this puzzle you need to definetely think thoroughly. The less you try the more points you will earn. Can you get the 3 stars in every level? 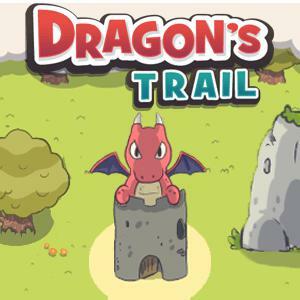 Dragons Trail - Find Dragons Trail in our vast HTML5 games catalogue. Only the best and newest HTML5 games for all audiences. Guaranteed success with Famobi.